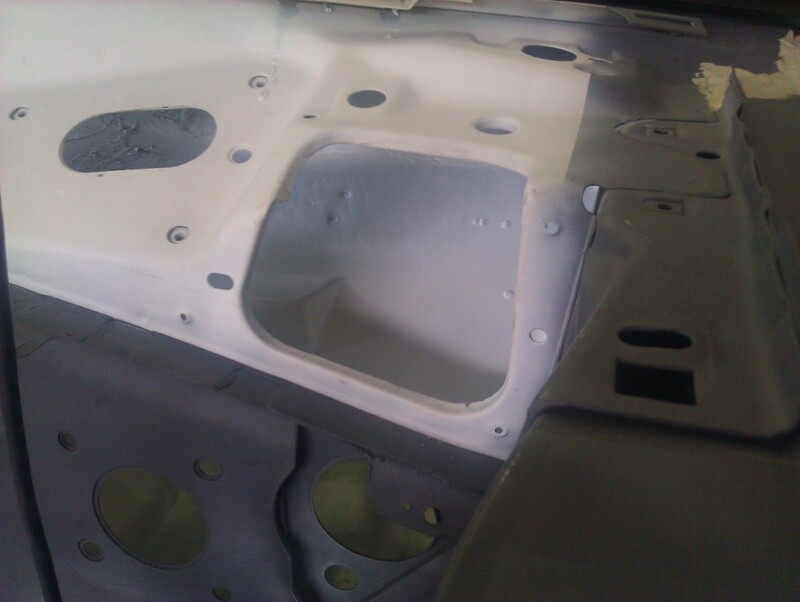 #45: June 22nd, 2011 - Working on the Ceiling, Cowl and Driver-Side Floor...Having a car sitting in white primer for a few months has its benefits sometimes. 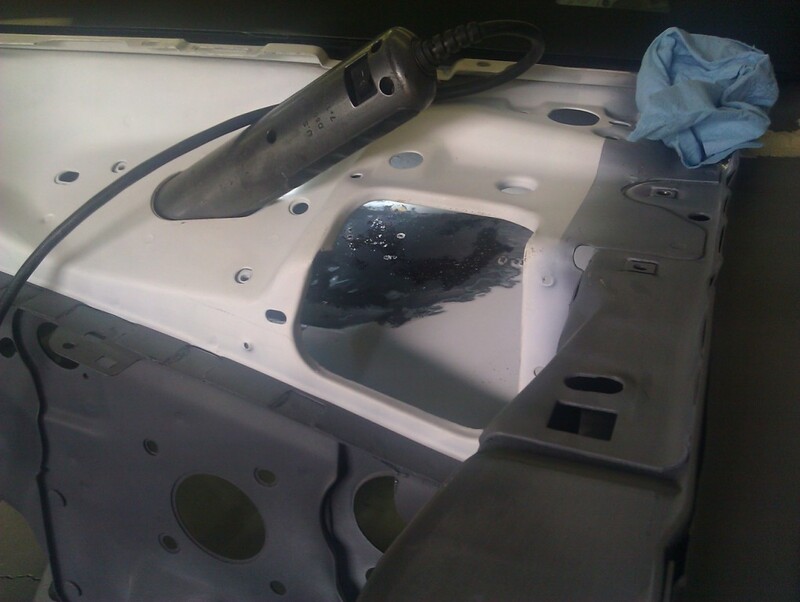 The cowl area where the wiper transmission arms are located had been cleaned and coated with primer last year. Last month, I noticed some small rust spots in the primer. I ended up grinding the area down and revealed a large rust spot. After hitting the area with the die grinder with a 80 grit disc and Purple Power Rust Remover, it was ready for a new coat of primer the next day. 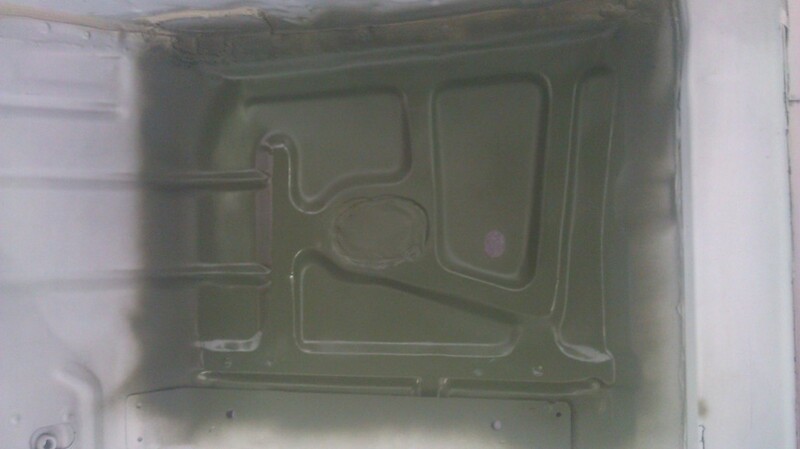 The same thing then happened with the drivers-side rear floor. 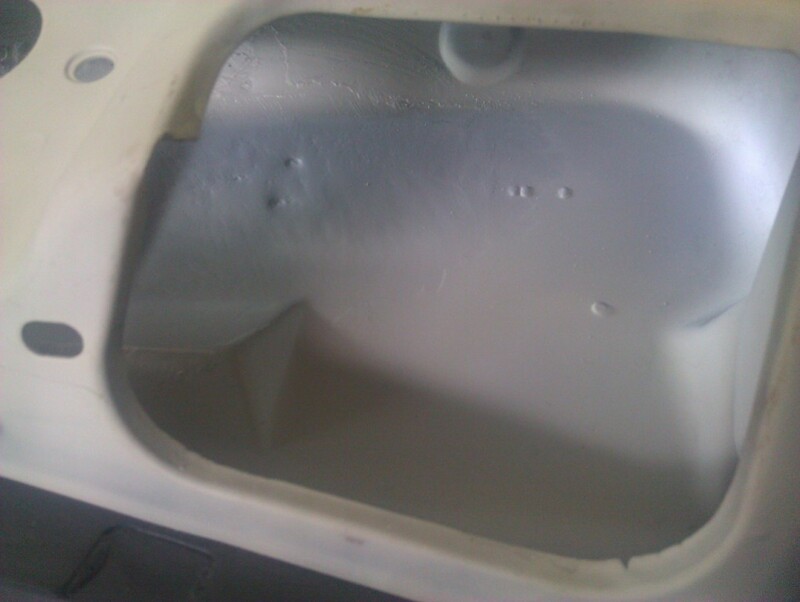 This time there were small rust bubbles UNDER the factory e-coat. They had probably been there since the panel was stamped, and just now broke through to the surface. 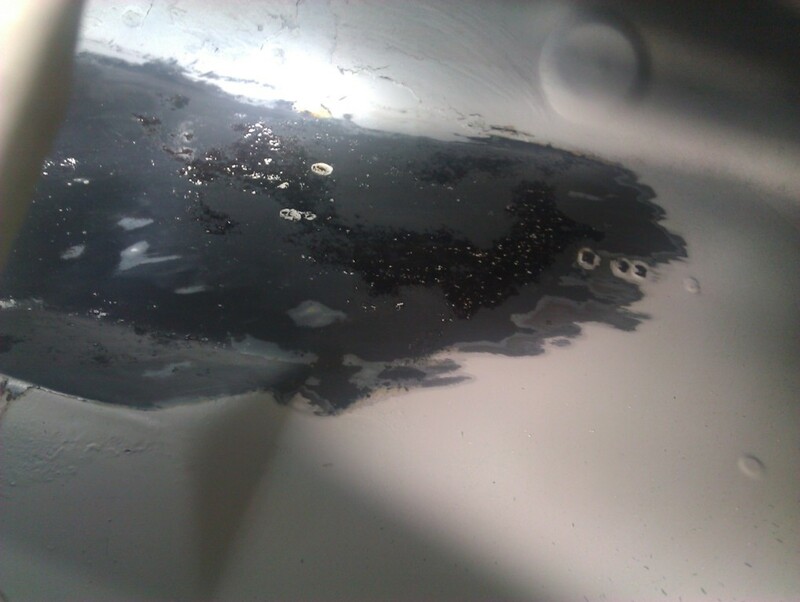 Again, the remedy was more 80 grit and Rust Remover and it was ready for etching primer this time. 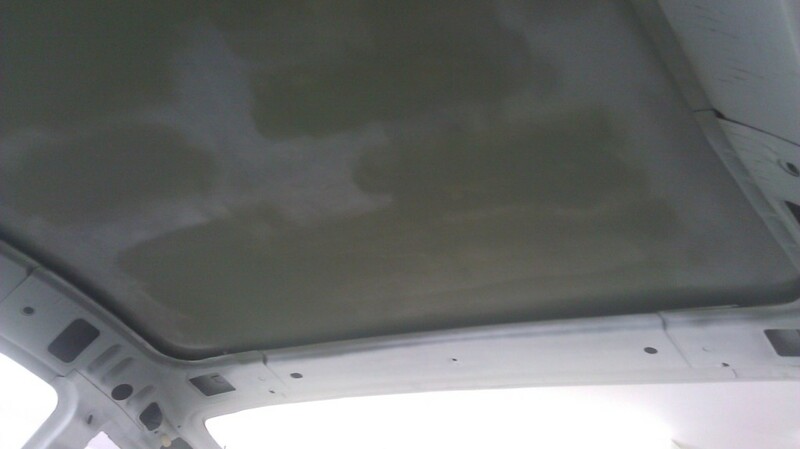 The next item on the list was the interior ceiling. 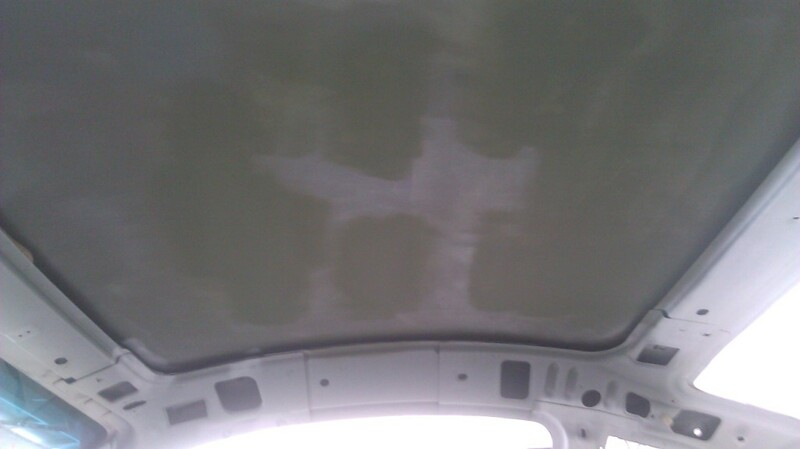 The headliner had been removed a while back, but the heavy glue still remained. I knew that my oscillating multifunction tool would cut the glue loose, but I was worried about any damage that may happen, and show through to the outside of the roof, requiring more body work. Luckily, there were no issues. 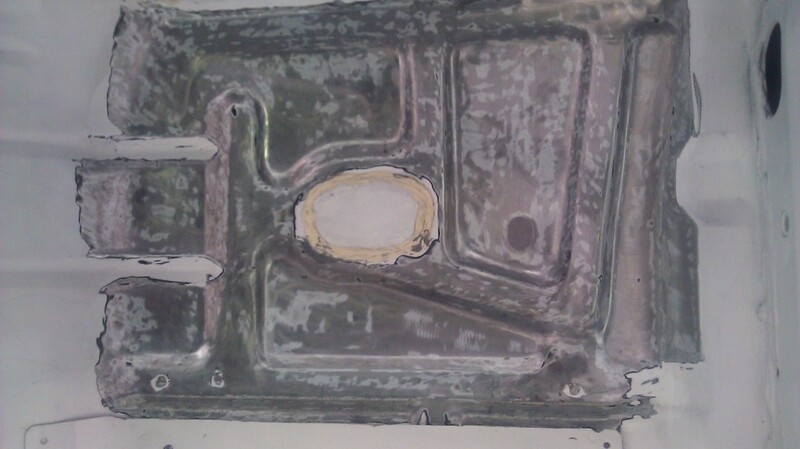 I sanded down the entire area with 200 grit on the DA and gave the bare metal areas a coat of etching primer.